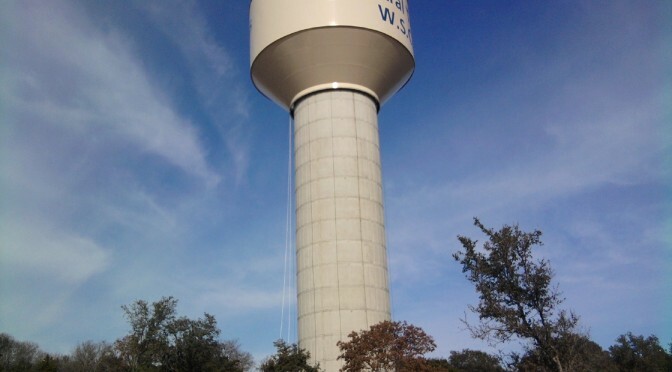 In December, 2011, Central Texas WSC commissioned its new 600,000 gallon, 130 foot high composite concrete and welded steel elevated tank designed by S. D. Kallman, L.P. at a cost of $1,312,500. This tank stores water pumped from Central Texas WSC’s new 4 MGD Doc L. Curb microfiltration water treatment plant. Click here to Watch and Hear our Elevated Tank Video!